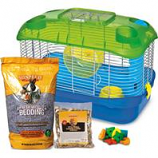 The Hide-A-Squirrel will not only keep pets occupied and eliminate boredom, but they also develop a dog's intelligence and puzzle-solving skills. 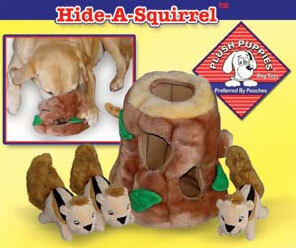 Just hide the soft plush squirrels inside the plush log for dogs to remove over and over again. Durable and long lasting. Plush Puppies - Puzzle Plush Replacement Squirrels - 3 Pack product is categorised under Wholesale Plush Puppies (Kyjen), WA products, Wholesale Dog Products, Wholesale Toys, Wholesale Plush Toys. Angel Pet Supplies - Rio Leather Martingale Dog Collar - Black - 12" X 5/8"